A download link has been sent to your mobile device. 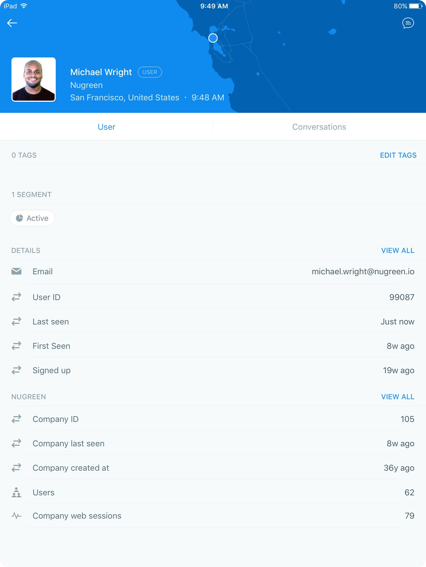 Easily view conversations, see where you’re mentioned, and collaborate with your team using internal notes. Send a new message or respond to a customer through your mobile device. Gain context by viewing a user or lead’s live profile to reduce frustrating back and forth. Everything you need to access conversations and people anytime, anywhere. View, manage, and respond to conversations in a collaborative inbox. Loop in teammates and work together behind the scenes to answer questions. 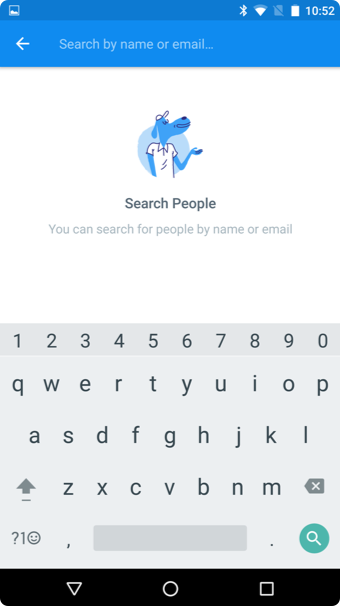 Group related people or conversations with tags—search for them later. Instant message delivery, typing indicators, and user presence bring conversations to life. 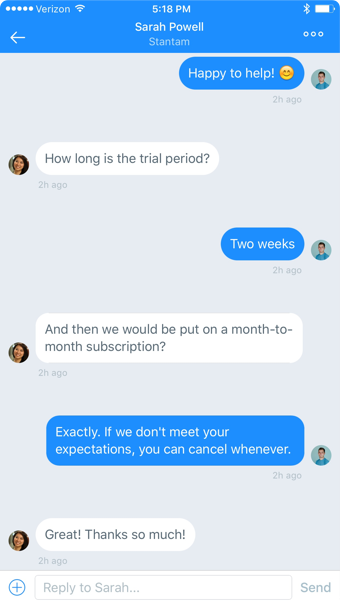 Respond to common questions with canned, yet personalized replies. See a visitor’s website activity, conversation history, and more.